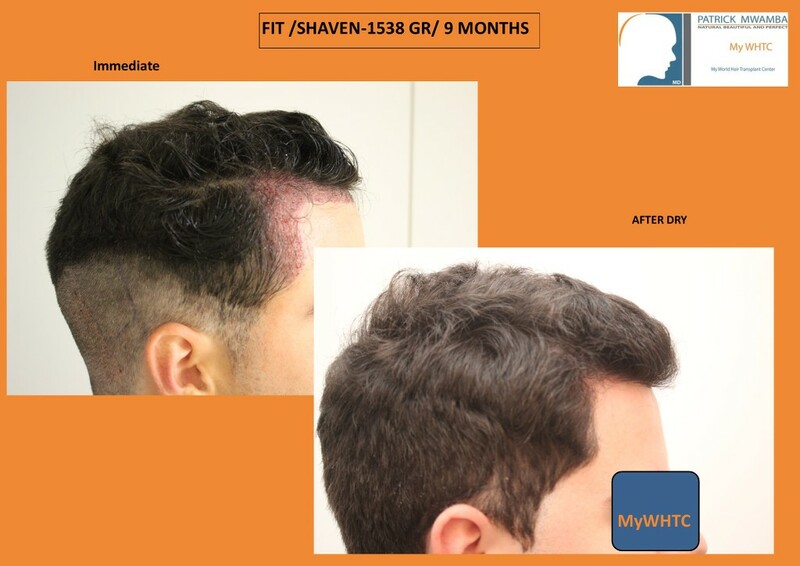 This young patient, 23 yo, with wavy dark brown hairs, came to our office seeking for a hair transplant surgery. I couldn’t notice any hair loss because he was combing his hairs forward adopting a hairstyle camouflage. 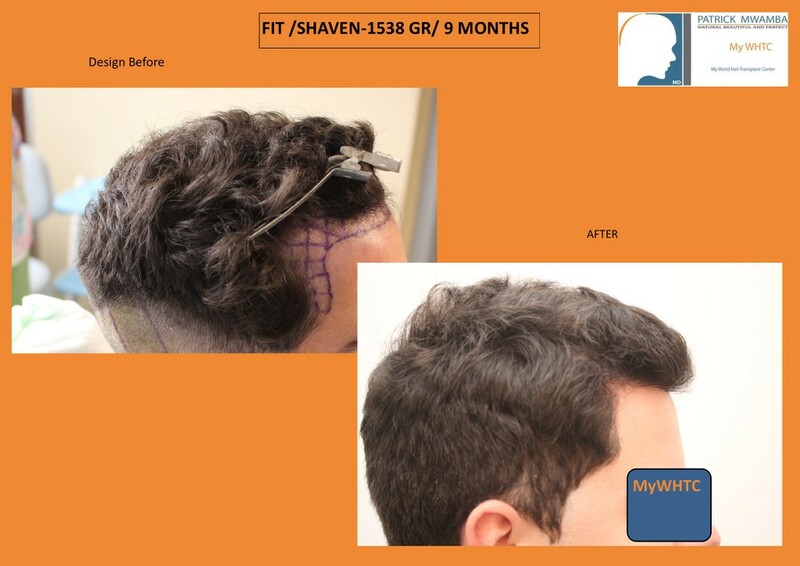 Family history of hair loss was negative and the patient was using a shampoo to treat his hair loss. After close examination, we noticed a receded frontal hairline and temples .The pull test for active hair shedding was negative. 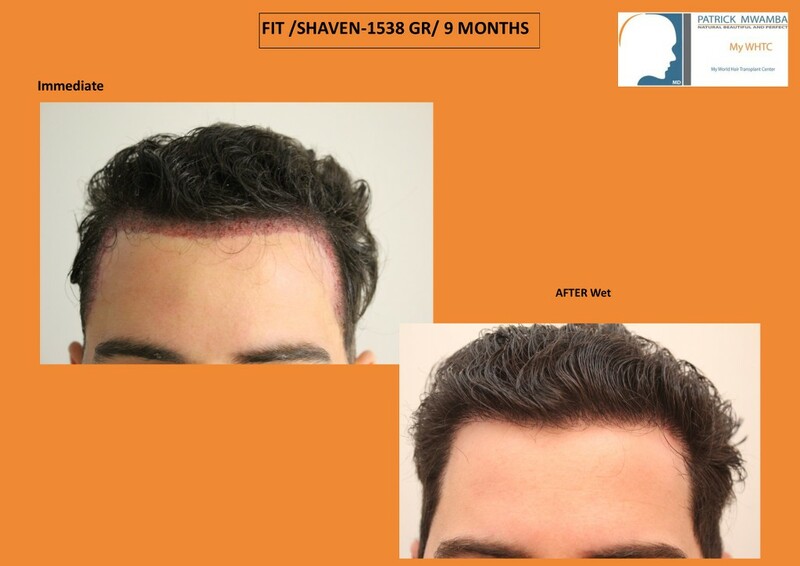 At this age, we do surgery only if the patient is committed to get on medical therapy .We recommended LED light once per week, Help hair Whey protein and vitamins. 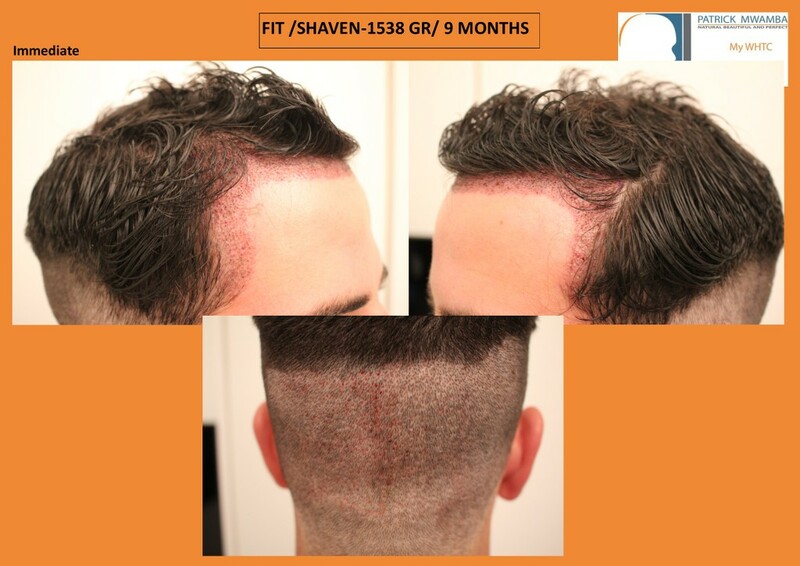 For surgery, 1538 grafts FUE by FIT shaven were performed to achieve the patient’s goal: being able to comb his hairs backward. 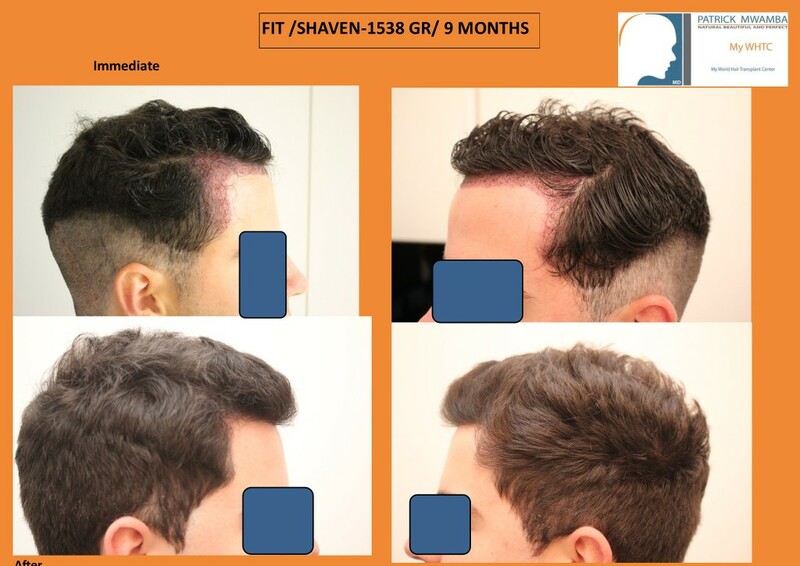 We are presenting his results at 9 months post op and the patient is happy. 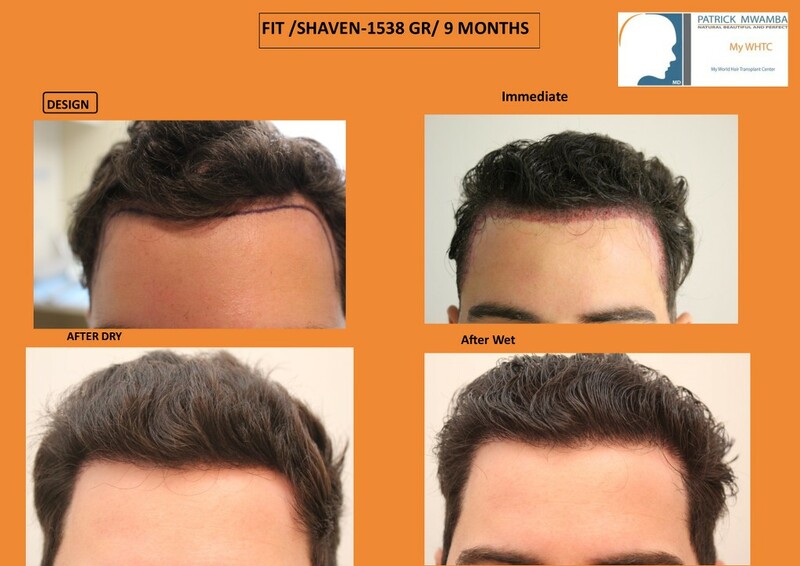 When building a hairline, we should keep in mind that naturalness and detectability are a paramount. To balance the face, temples points reconstruction must be part of your regular plan .A few thin grafts should be placed there for softness. It is also important to inform our patients that patience is part of the game while waiting for final results .It may take up to one year before you reach your desire goal. LED light? Is it the same as laser? LED light has the same wave length as the Low Laser Light therapy ( Laser cap ). With LED light , you have more possibility with different light colors ; therefore the application and indication are multiple . I see another good result from your center. I am reading good things from your clinic. Are you still doing doing strip?